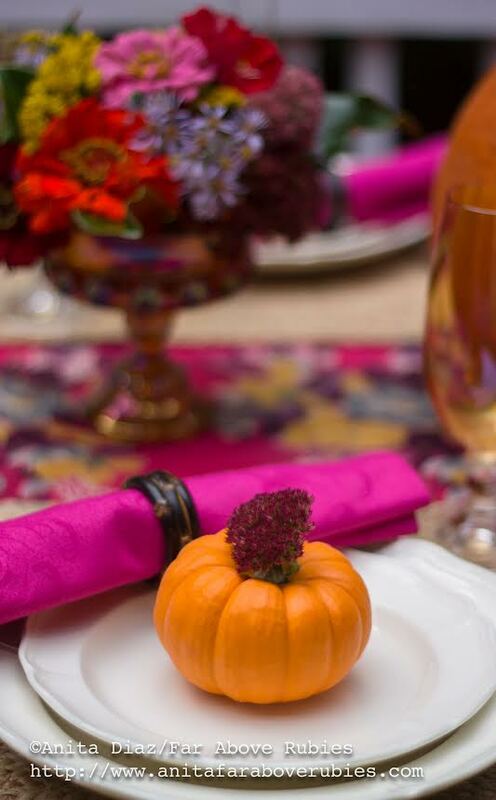 Creating a fall table setting doesn’t have to be complicated. 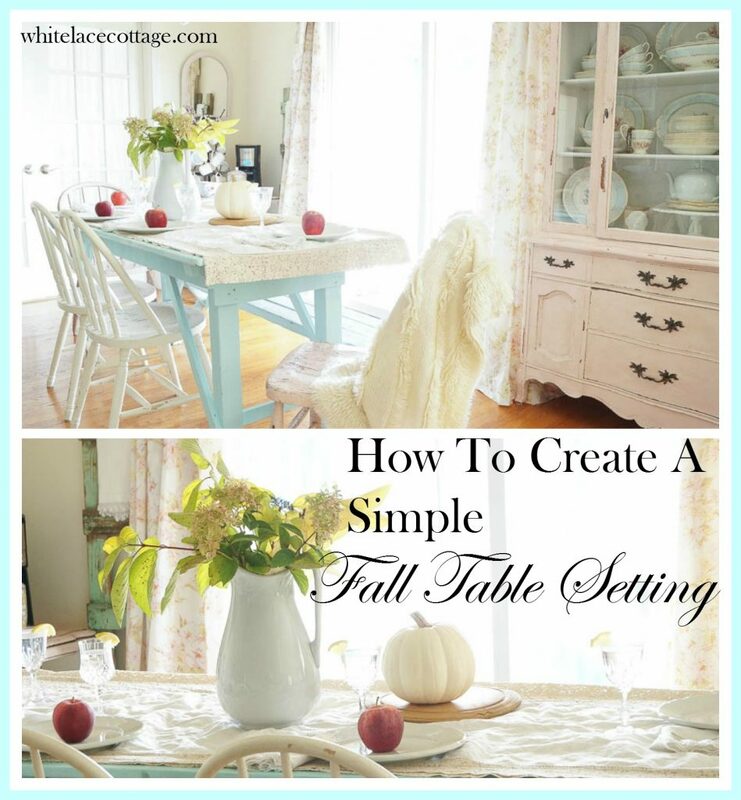 I’m going to share a few tips on how to create a very simple table setting for everyday or if you’re entertaining. You’ll see that I’ve used pieces that you can get easily, some may even be in your own backyard. Add a tablecloth. 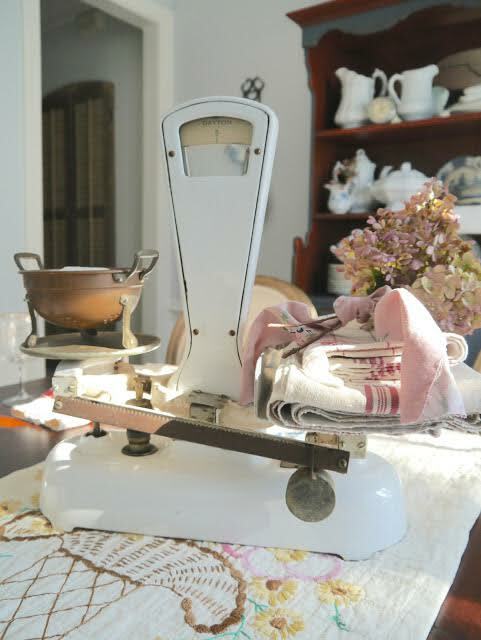 This can dress up any table for everyday use or when entertaining. My tablecloth is being used as a runner, as it’s a bit short for this table, but it still works. 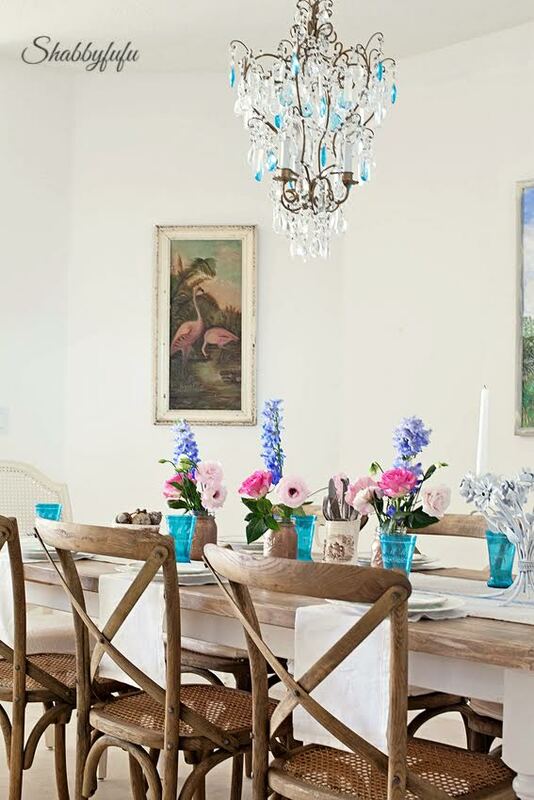 Use fresh flowers, leaves or twigs from your garden for your table. These hydrangeas and branches from my dogwood shrub are from my garden. The colors are perfect for fall. 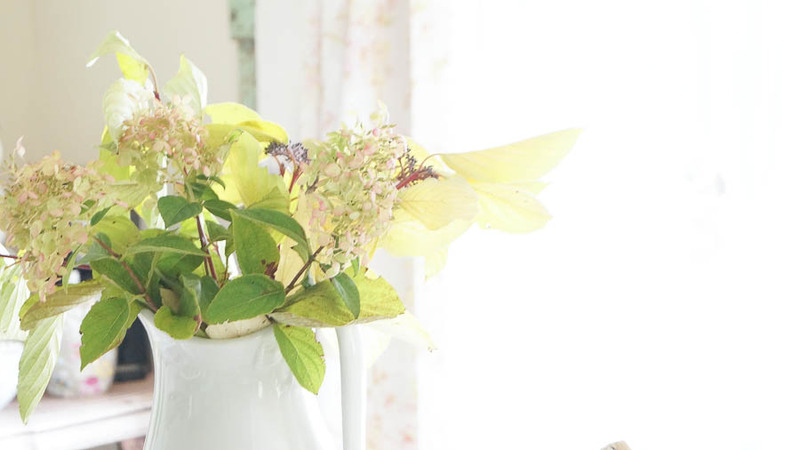 Use what you already have in your garden for a quick, easy and cheap bouquet. 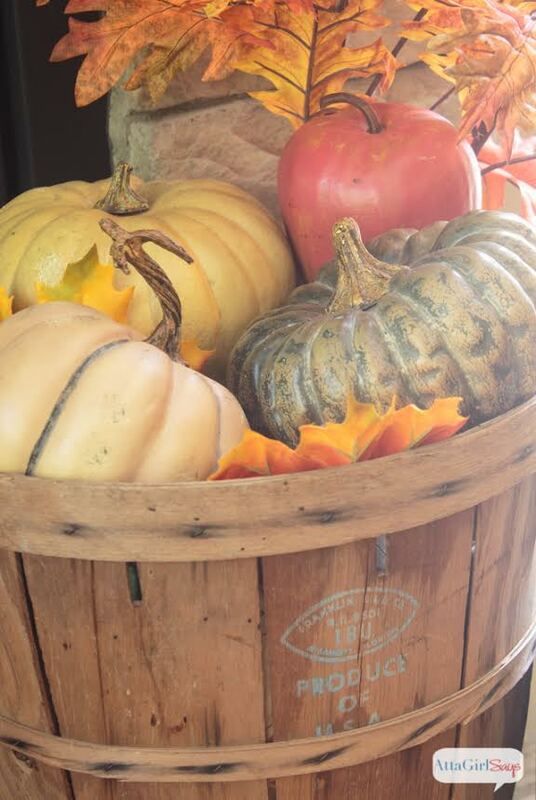 Use real or faux pumpkins on your table. 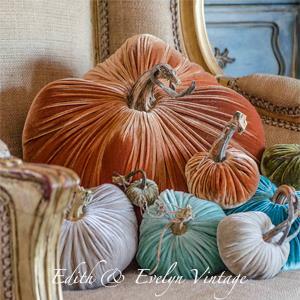 Pumpkins real and faux come in so many different colors. You can do a whole centerpiece using different size pumpkins, or pair smaller pumpkins with a bouquet from your garden. Use fruit as part of your table. We always have apples in our house, and again there are many colors. If you enjoy eating them, have a few extra on hand if you know you’ll be entertaining. They’re a pretty splash of color, and a cheap way to dress up a table. 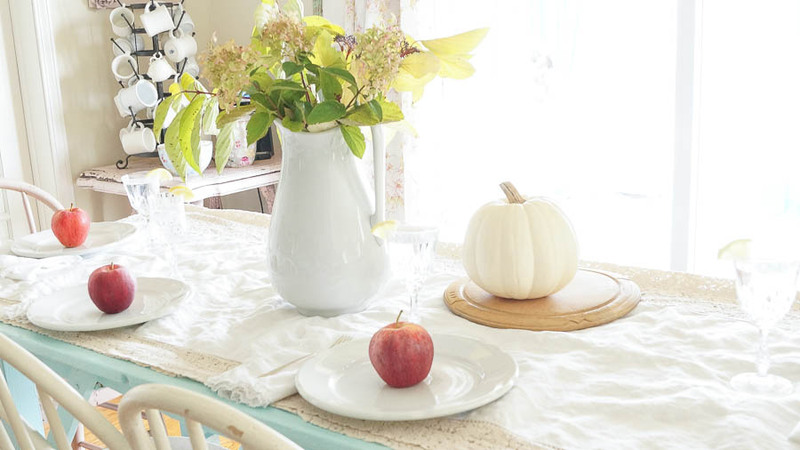 Keep your table setting simple using white dishes. We use our white dishes everyday. And they are my favorite dishes to use when we’re entertaining. Keeping dishes simple and without a pattern makes the rest of your table setting stand out. 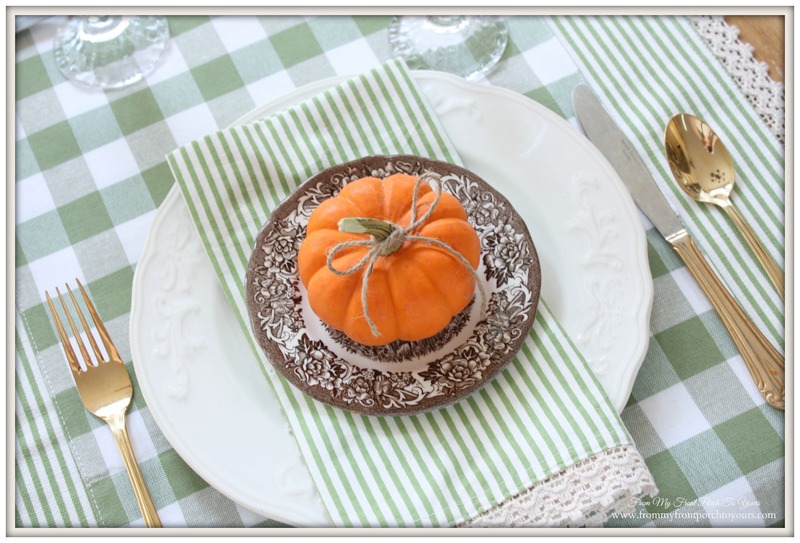 Add texture by using lace napkins. 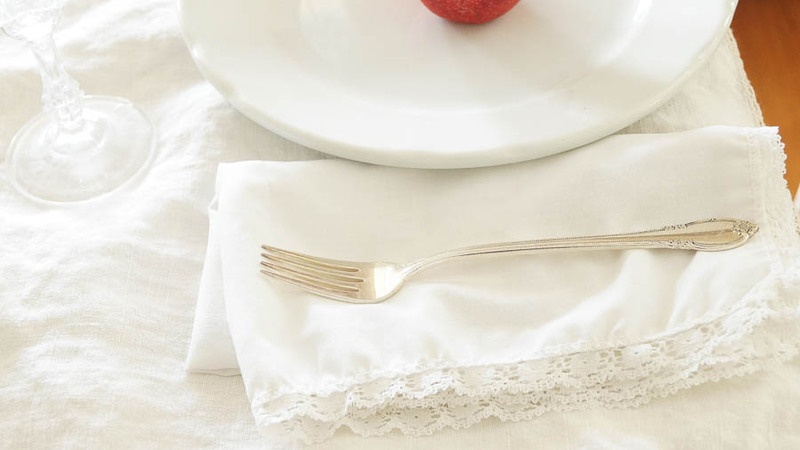 I love lace, and I love the look of lace napkins and the texture that it brings to a table setting. 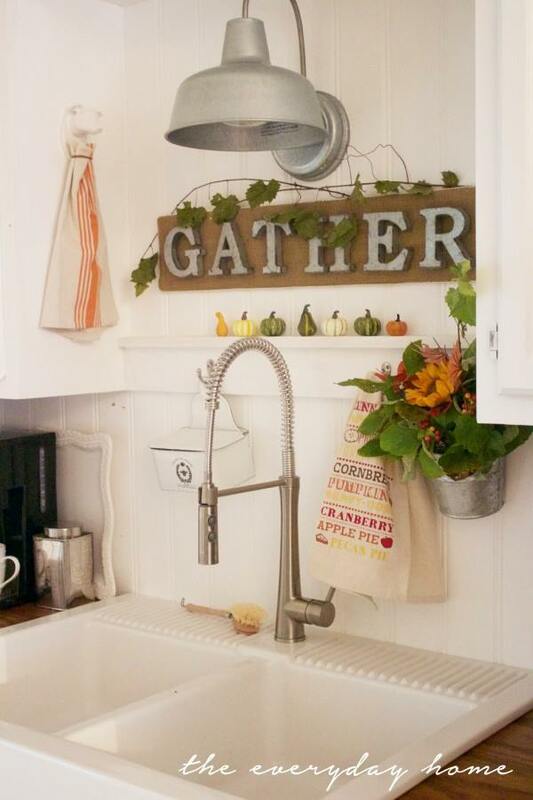 Bring out your pretty silver utensils. Silver always adds a touch of sparkle to a table setting. Bring out the crystal glasses even if you’re not drinking wine. Why not? 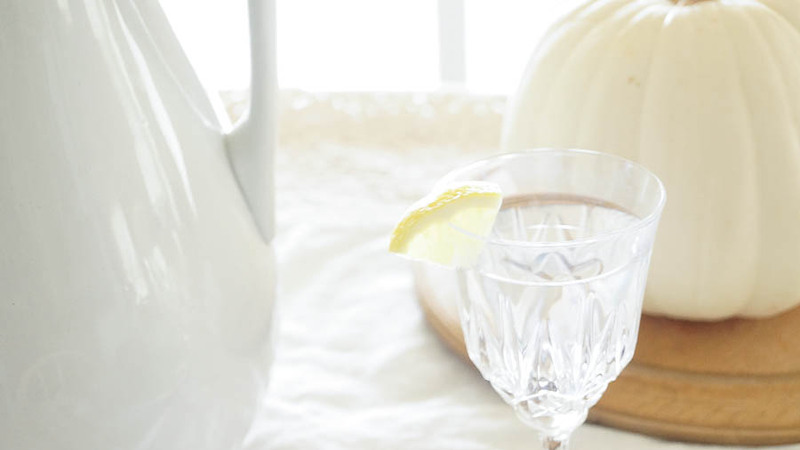 These can be used for any beverage in my opinion and they really dress up a table setting. The key is simplicity, and using what you already have. A table setting doesn’t need to be full of dishes, and things. Simplicity is so much more elegant, and it’s much easier to chat with company if you don’t have a table with stuff blocking your view. 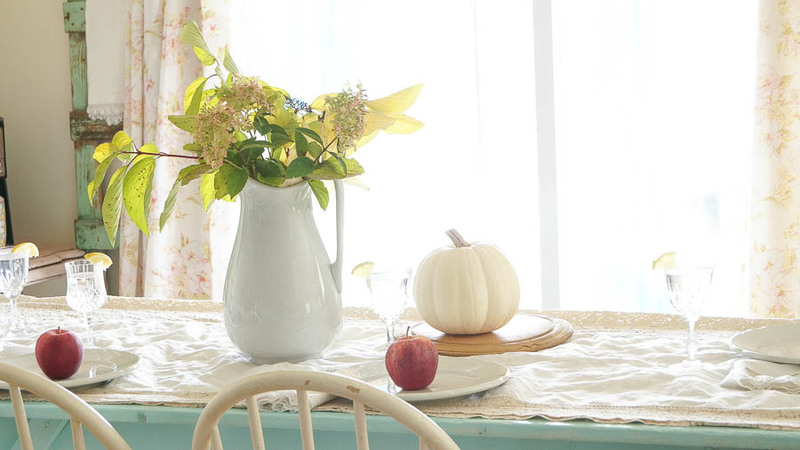 Your table looks so fresh and light for fall, Anne! Love the soft colors you used. Very pretty!! Thanks so much Mary Alice! 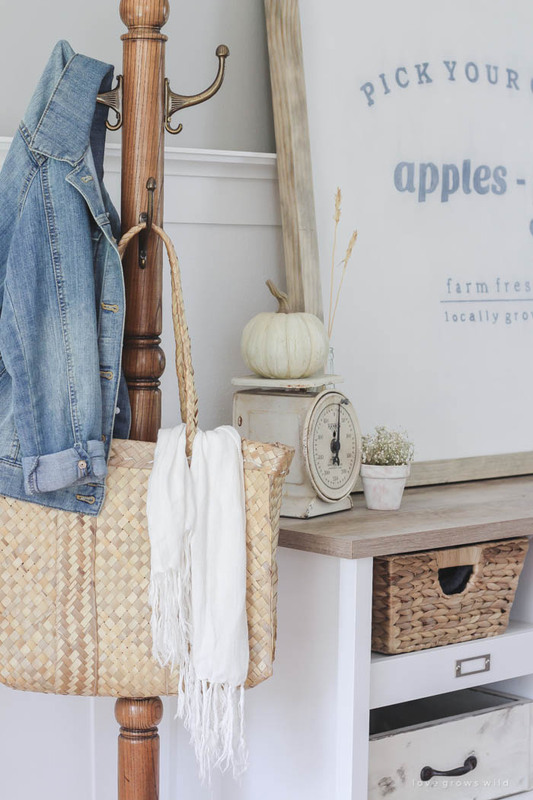 Anne, love your beautiful, simple Fall decor! Gorgeous! Simply beautiful Anne! Thank you for doing us in the hop. 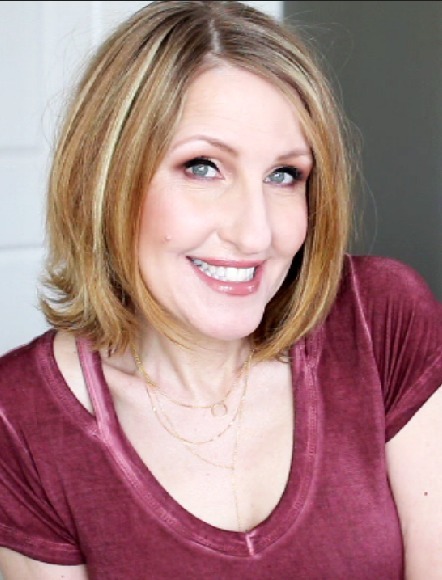 Thanks so much Pamela, I am honored to be a part of this fun tour! Oh! It all looks soooo pretty! Thanks so much sweet friend! I really appreciate your kind words and support. Beautiful!! I love the simplicity…. I always feel so calm and relaxed visiting here…always! 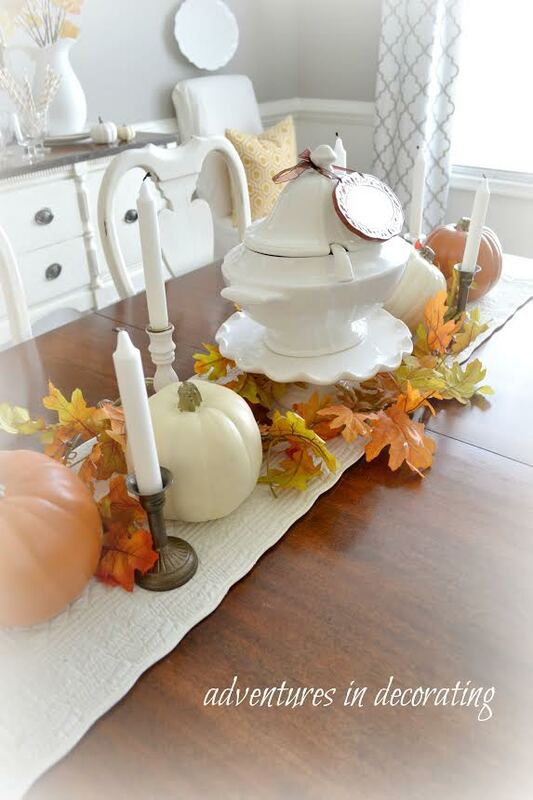 Love, love your tablescape Anne!! Such a lovely tablescape. I love the casual but elegant touches. All of your lace, flowy white fabric and your beatiful napkins place so nice against your white ironstone dishes and great pitcher. 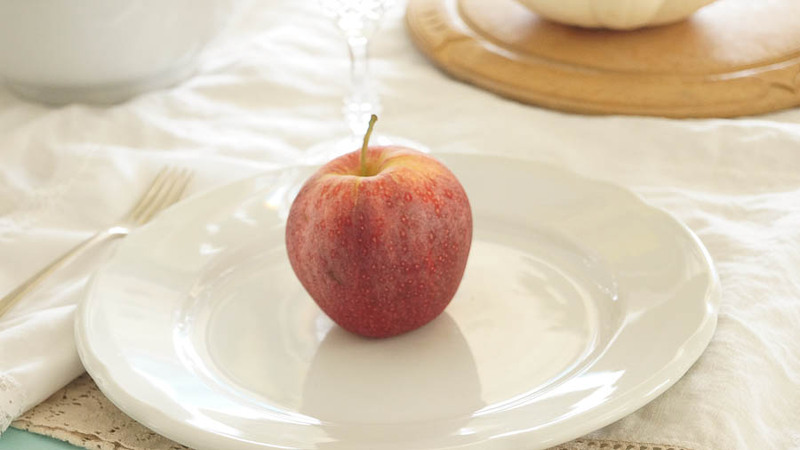 Your touches of hydrangea and an apple on each plate are little spots of fun on your inviting table. Thanks so much Judy! Those are my favorite napkins! 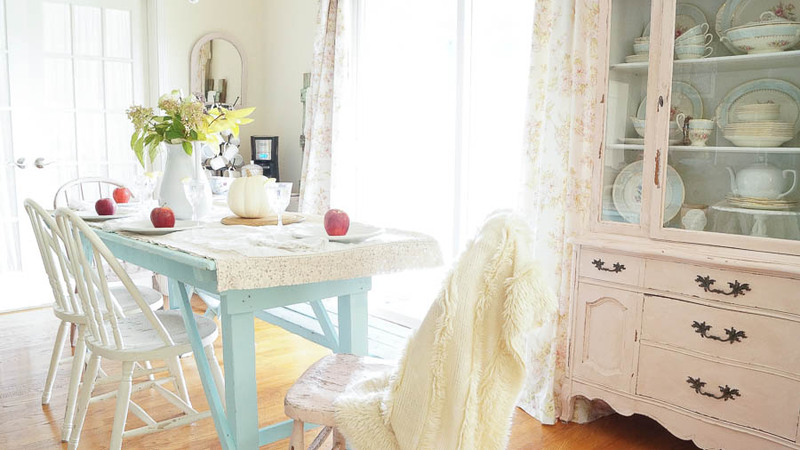 I like the simplicity and friendliness of the table. The lace napkins are wonderful.